In the case study below, the flamed granite floors needed full restoration services. Over 15 years of improper sealers were applied. The build up of residual sealer collected dirt and grime. Maintenance procedures were not satisfactory. Wet mopping just moved the dirt around and deeper into the surface. 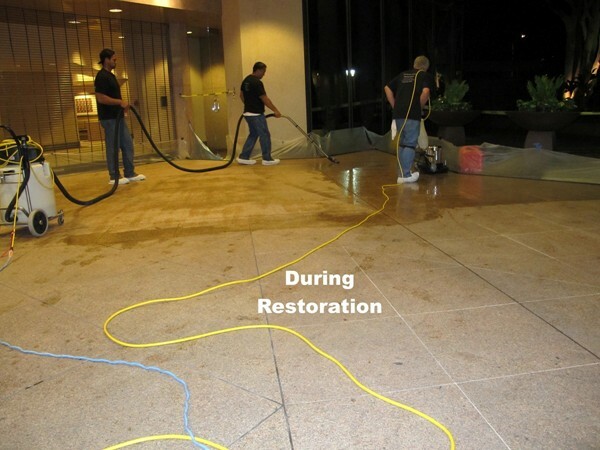 Other companies attempts of cleaning and restoring the floors failed or caused irreversible damage. It is not advisable to use harsh acids to break down existing sealers. The right type of stone restoration that is eco-friendly must be used under professional care. The proper procedures and use of equipment and chemicals were utilized to restore the flamed granite floors. A premium custom solvent based color enhancing sealer was applied to bring out the stones beauty. 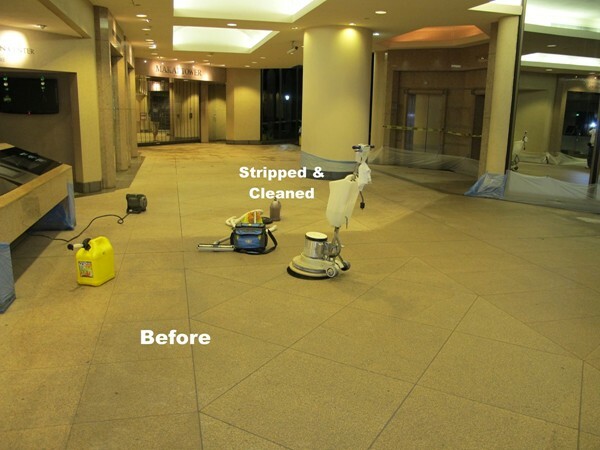 If your commercial or residential granite floors need servicing, please feel free to e-mail us at glenn@asrhawaii.com.